You are living under a constant pressure of other people’s expectations. The fear of failure is you companion. Don’t be too hard on yourself, Capricorn. No one can do everything right, so stop worrying about how you will serve the table or which jokes you’d better not tell during dinner. Fussing about the possible developments will take you nowhere. Forget about the anticipation, live here and now, enjoy the moment! As soon as you take the burden of useless worrying off your shoulders, you’ll start feeling oh so more relaxed and catch up on the holiday spirit.  The best places to meet The One for Capricorn!